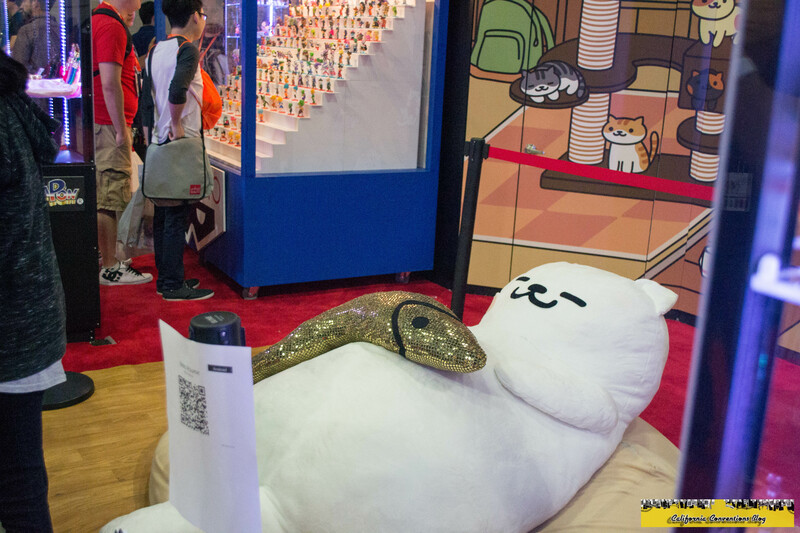 California Conventions Blog: Ryan Reports Anime Expo 2016: Day 4 - Every Day's Great at Your...Con's Over Now Go Home...Wait What? Well, it's the end of con as we know it, and that means I have to wrap this up shortly but not without going one last time to the LACC. Given I've been going to bed late the few days, James and I slept in for only an hour longer than usual. We actually got a spot on Figuora across from South Hall and we where on our way. Not many events were left so I actually decided to cover the rest of the Exhibit Hall, an area I've been neglecting the entire convention; I started collecting the swag and photos I couldn't get because of our blog's scheduling. 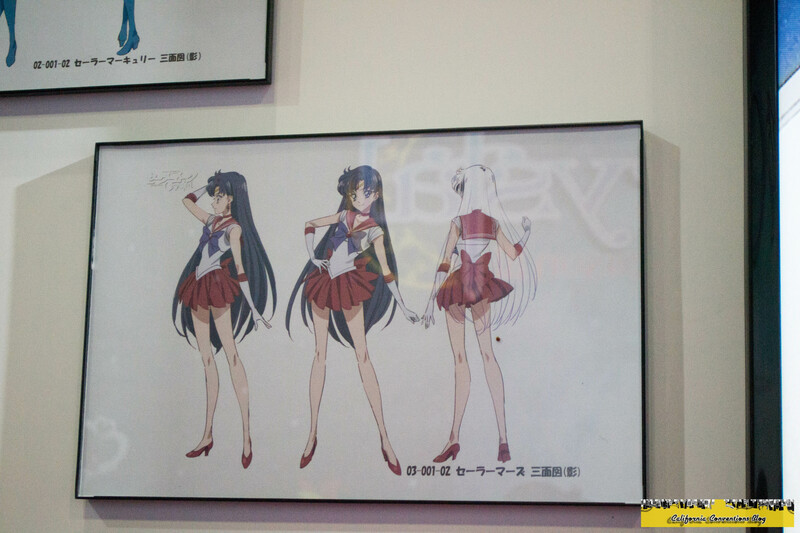 I would begin at the Toei Animation booth for some nice historical character cells and history of both Dragon Ball, Dragon Ball Z, and Sailor Moon. 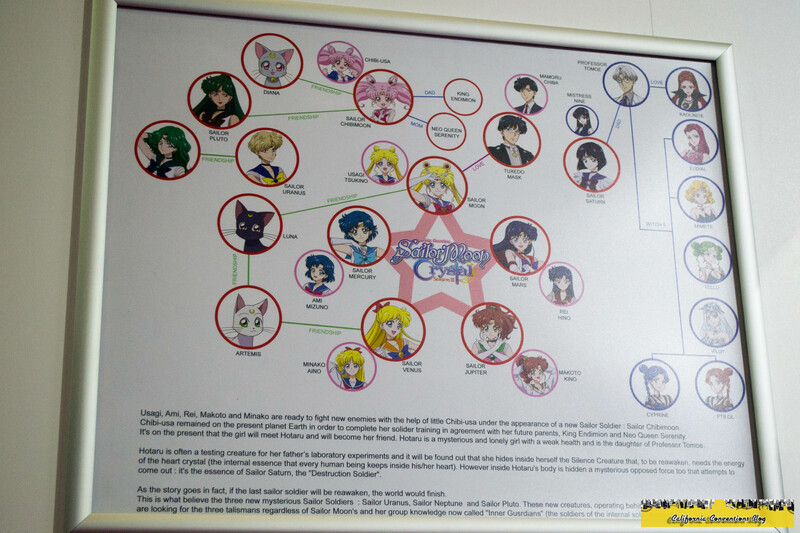 Being the "moonie" I am, I indulged myself on reading the new character connection flowchart and I was still disappointed that they don't acknowledge Uranus and Neptune as lovers. But hey, Mars is best girl...am I right? My next stop would be over to the Aksys/Arc System Works to see the recently released Guilty Gear Xrd -Revelator-. 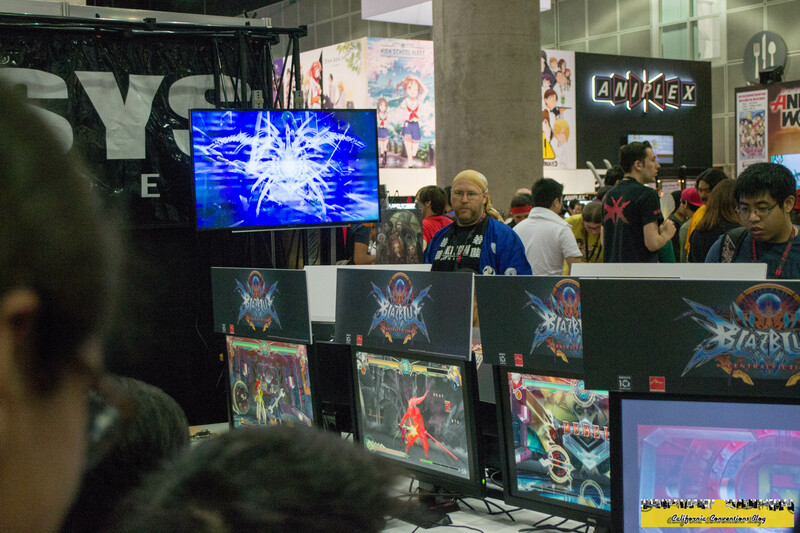 I've been a fan of both the Guilty Gear and BlazBlue franchises I would observe some matches on the Guilty Gear side of things before doing my AX tradition of playing the early build of a BlazBlue game; this year's game being Central Fiction, releasing later this year on the PS3 and PS4. Since Weiss was on the mind, I would hope to see if the Bushiroad booth had any promos like they had in previous years at the convention. Unfortunately, that was a no but I would still observe the booth anyway. On the back end they were demoing and teaching their newest card games Luck and Logic and Acendents of Atheros. Since the hall would be closing in the next hour or so I would not get to sample either game but I'll have you know that once I got home I tried both games. Bushiroad had a shop for their merchandise but I was low on funds because I needed to get home. 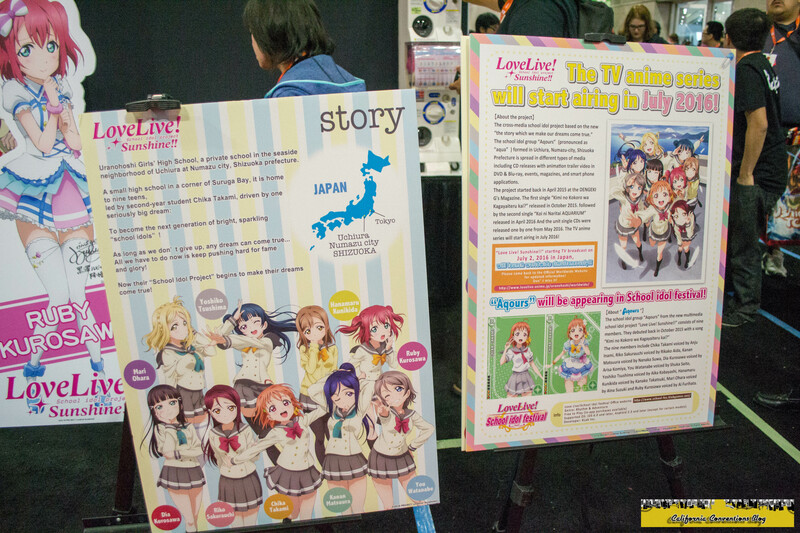 The main focus was on the recently released and popular school idol sensation Love Live! Sunshine!! To admit, as I'm writing this segment I haven't watched the newest adaptation of Love Live! franchise because I was at the convention and I'm a still a bit a loyalist when it came to the music and girls of the originals μ's (Mu's). (#UmiNicoNoizomiBestGirlsFOREVER) Fanboy-ism aside, the exhibit had a demo unit of the mobile game Love Live! School Idol Festival, a history of the story so far, and when the girls of Aqours will be making their debut on the game and anime. 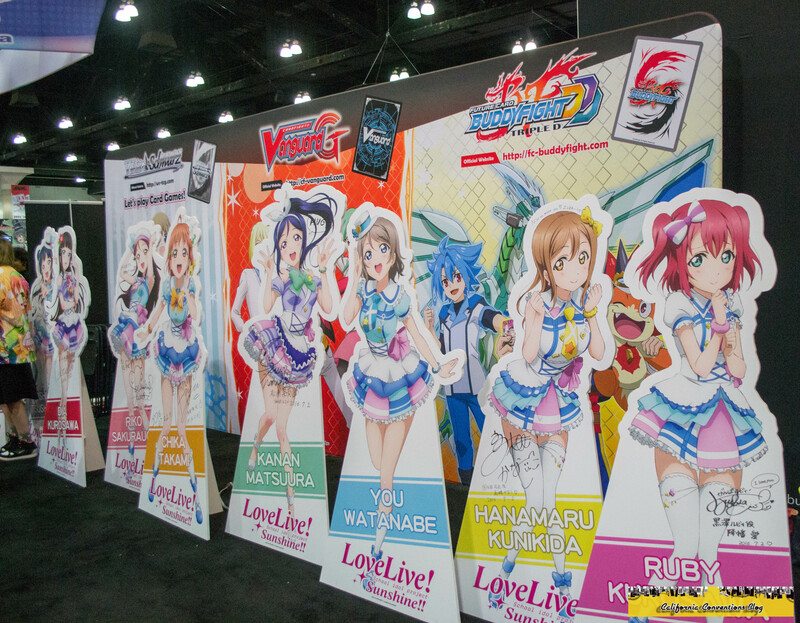 Last but not the least was an interesting display of the girls of Aqours in the form of standees signed by the seiyu's of the new Love Live! cast. 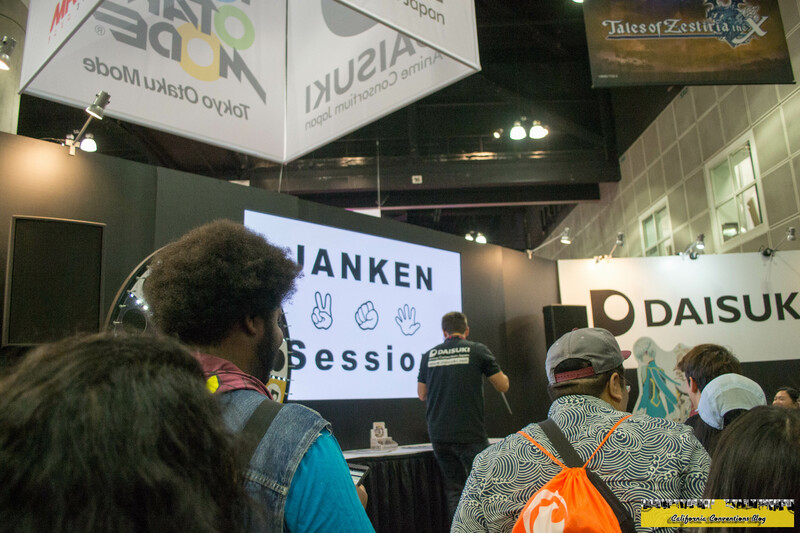 Next door, over at the Daisuki booth I heard that there would be a contest going on for those who attended the last session of their show. Being that I am a member of the streaming service, I would walk next door from Bushiroad booth and chime in on the show. The MC would introduce himself and what Daisuki was, then mentioned if you stuck around the whole show, including the preview showcase of upcoming anime, and were a member of the service and could prove it you could participate in the game and contest. Shortly after said showcase, we got to play! The MC said we would play a game of Janken (Rock Paper Scissors in Japan) but not in the traditional way. In order for you to win a prize you had to beat the MC fair and square but with a twist: you had to have your back turned away from the MC and facing towards the audience as he chose cutouts of rock paper or scissors. If he beat you or you tied, you'd lose and go home empty handed. After some time passed I was brought up on stage to try and beat the MC and at this point far many people had beaten hi, taking the remaining Idolmaster shirts but he came back on winning streak of his own, which I wouldn't allow myself to go home with. With my eyes closed I hear the dreaded words "jan...ken...pon" and practically "shoryukened the heavens" to hear the MC's reaction, initially thinking I had lost but in truth I won as he chose scissors. 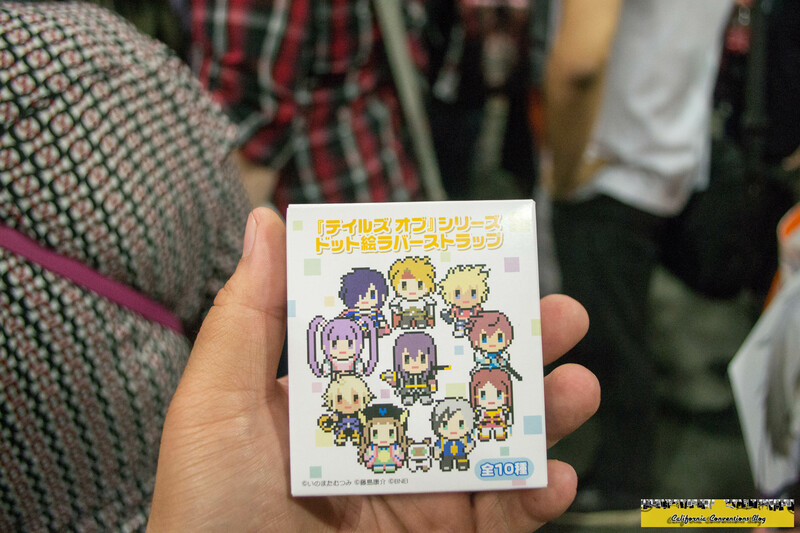 Going with the only remaining prize and the one I intended on getting in the first place, I won a Tales of 8-bit Strap. I also walked around back and picked up a Tales of Zesteria Z Poster and clear file just for flashing my member number. Time was running low with 45 minutes remaining till Exhibit Hall would close for the year. 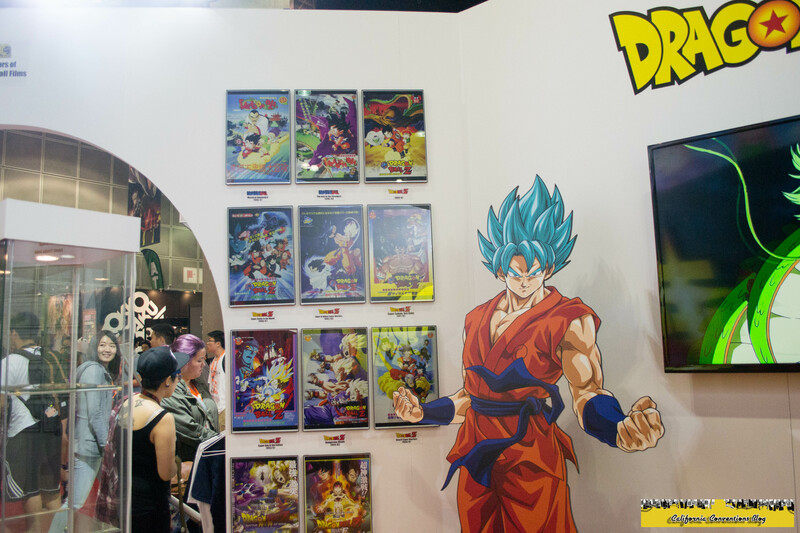 Curious on what was being demoed at the Bandai/Namco booth, I would take a gander and try out the early builds of both Sword Art Online: Hollow Realization and Dragonball Xenoverse 2. Among getting a reason to pre-order both games after I had gotten home, I would also film and photograph both stations to do a small review of the builds for the blog at a later time. The dreaded 20 minutes announcement was made over the intercom and I knew I had to hurry. 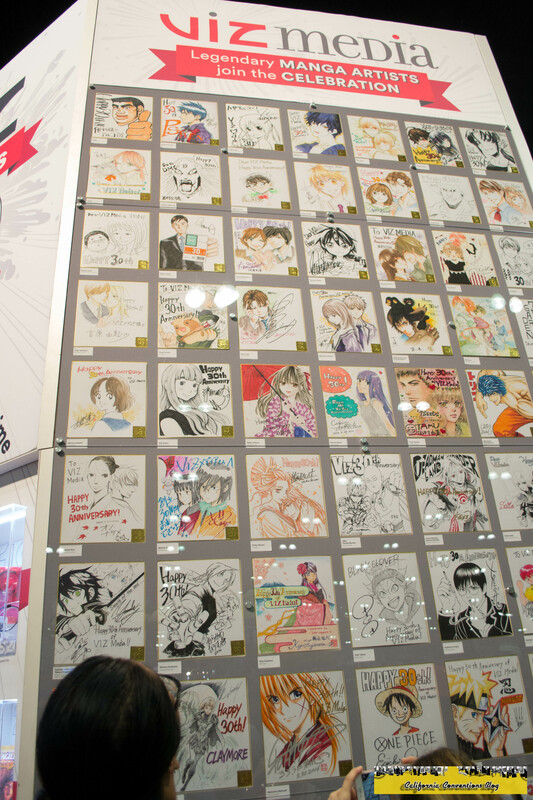 My last documented stops would be at the Viz Media Booth to see if I could win more swag but was cut off. 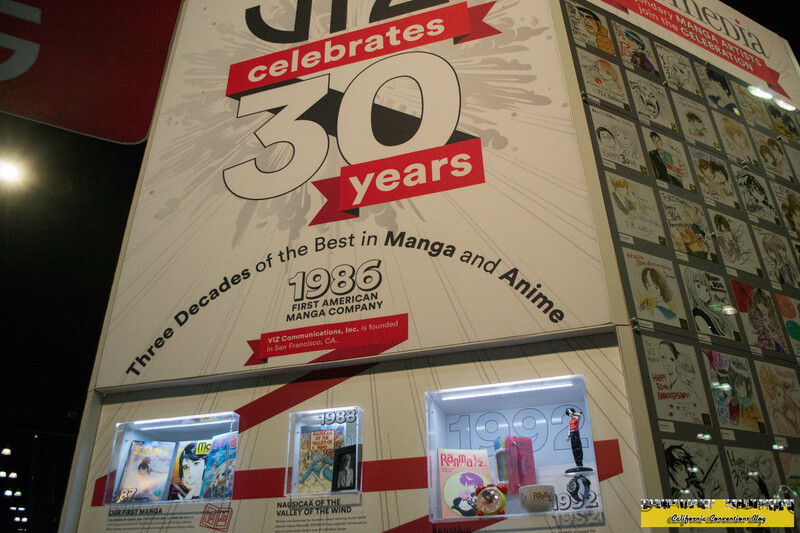 Nonetheless, I would take some photos of the booth as Viz was celebrating 30 years of anime they had produced over time. Finally I hit Good Smile Company booth to see the figures they were producing for the remaining year. 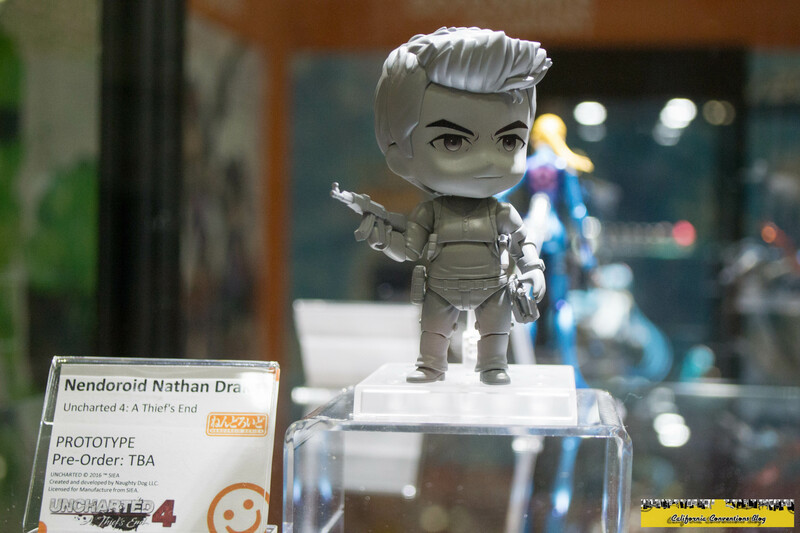 I'm a sucker when it comes down to figures especially ones like figma and the Nendoroid line GSC produces. 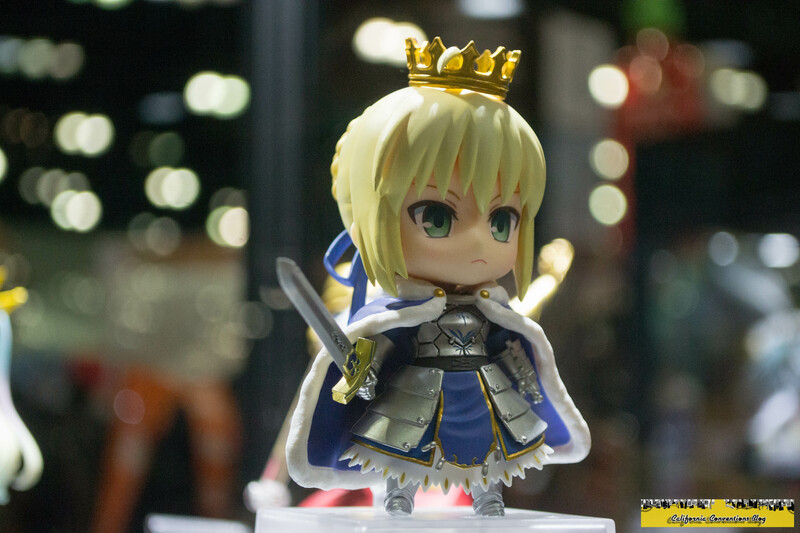 This year was no exception seeing prototypes of the GSC Racing Super Sonico, the Fate series figma and Nedororoids, and some other familiar favorites such as Miku and Shirou of No Game No Life. I wanted to show the exhibit of Kinomoto Sakura figure GSC was advertising from the series Cardcaptor Sakura, but sadly since this was still a prototype not yet shown in Japan I was told I could not photograph the figure. I would hit up the remaining booths in the back of the Exhibit Hall and ironically run into the SacAnime booth and grabbing more pins for the SAO Election before having to be thrown out of the now closed hall. I call James to see if he had lined up for Closing Ceremonies and he had indeed did. I would meet up with him and of course as he bought more merchandise that I had to walk back to the car. Before I left I told him to hold me a seat as I wasn't sure even with press I could find a good seat as they were taking people in at the time. While walking back, I ran into then-candidate now writer for the blog Jeriko and say our goodbyes as he was leaving back to San Juan Capistrano as his convention was over. 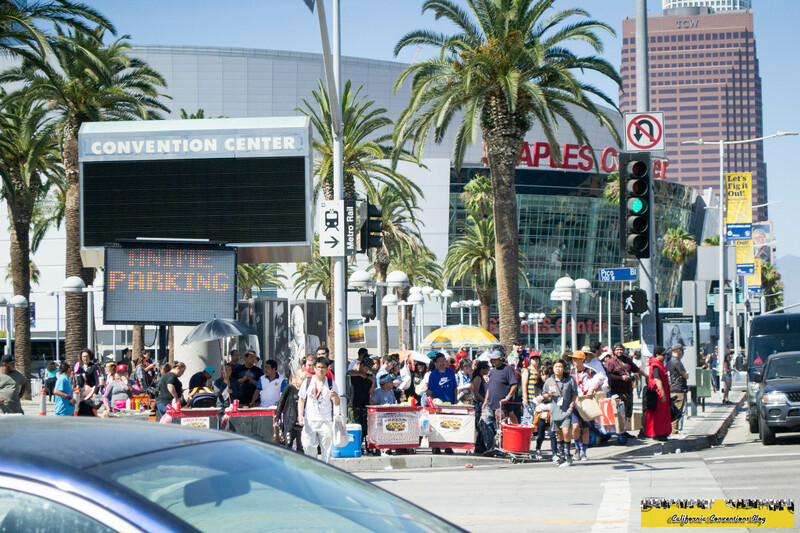 I also could not help but take a photo of the crossing between South and West Hall on Figuora & Pico of the sea of street carts trying to sell Mexican Street Dogs, drinks, ice cream, and our Editor-in-Chief's favorite part of the photo: a sign that displayed "ANIME PARKING!!!" 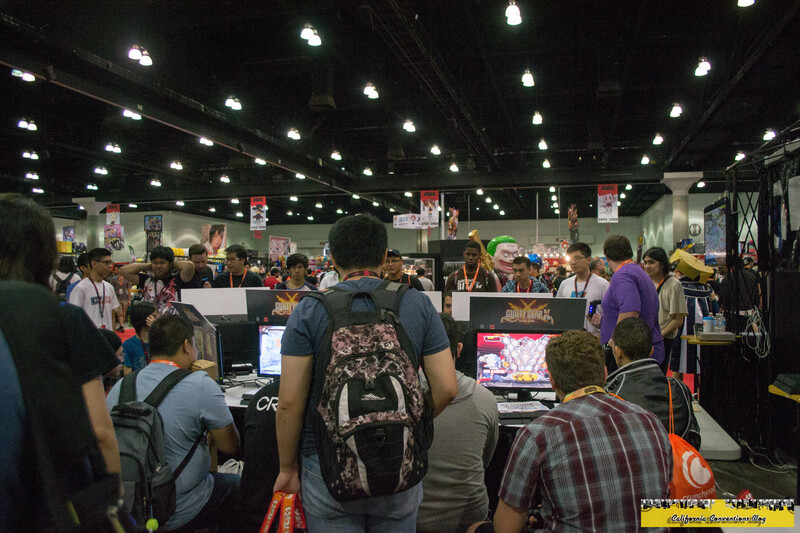 In all my nine years attending Anime Expo, since the move to the LACC I've seen my fair share of bunch. But I'll be DAMNED if I ever had the hardest time crossing the street seeing and squeezing through so damned many of them. Finally, back at the convention for the last time until 2017, I would go back to the Main Events hall and flash my badge for the last time to enter Closing Ceremonies. Oh hey guess what? Were not on time again, so let's re-re-re-re-re-re-watch AX's 25 Years of Anime again! Not interested in the presentation I've seen over a dozen times over the convention, I would check to see who won the SAO Election on my near death phone to see that Sinon prevailed and beat Asuna by 50 votes...really people, 50!?! 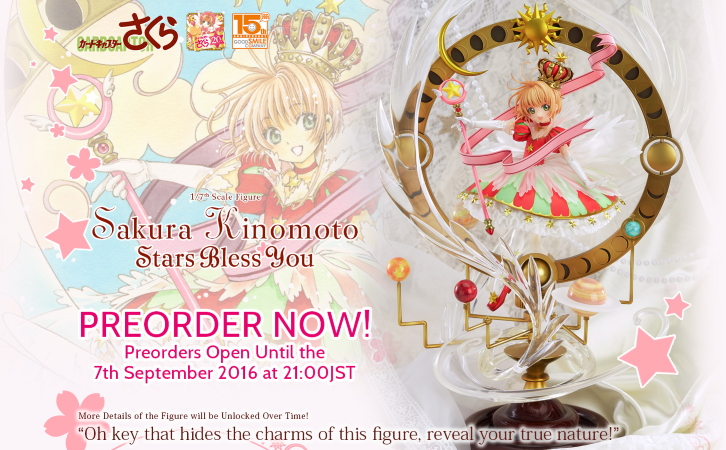 I'm calling Aniplex and Calling for a re-count because this is some Hillary Clinton "rigatry" BS here. 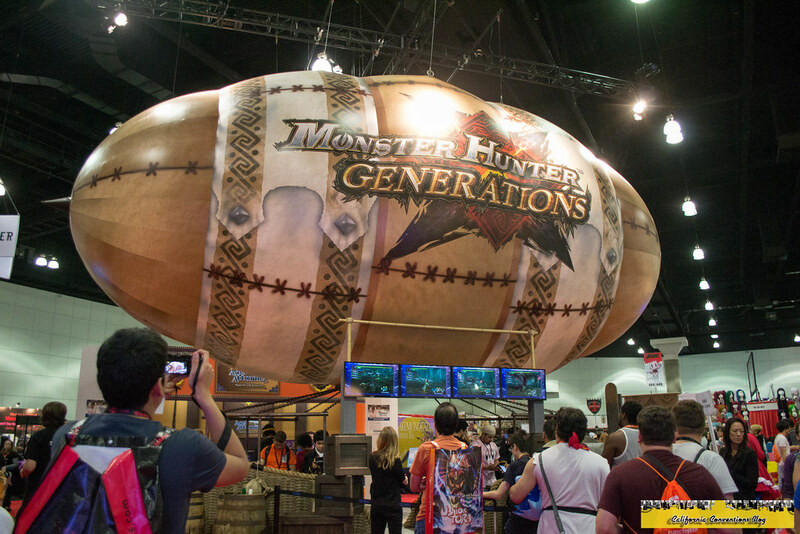 Finally back to our regularly scheduled program, AX's Closing Ceremonies was underway an after the last hourly delay of the convention. Danny made his way out again to thank the now gone GOH's for being here and the Daruma Doll would be completed by the SPJA's CEO as our journey at AX was over. But they wouldn't end the convention without a bang! Even though I personally missed the Jazz Cat Experience, I felt that I didn't because Alice Underground came back for an encore performance just for us at closing. The last performance of the con would go to Sakurabi Chii as she performed a small setlist. Tony Oliver and Danny would thank the us in the crowd for attending the convention and setting the now largest attendance record of 104,000 and that they looked forward to seeing us next year. As everyone was walking out of the hall Tony said "STOP!!!" and sure enough most of us stopped dead in our tracks. He then proceeded to say that the convention wasn't over nor was he done talking. Then he stated that this may be the 25th show but it wasn't AX's anniversary and that next year's show would be AX's "true" 25th anniversary and the very first guest announcement for 2017 of Legend Of Zelda manga creators Himekawa Akira, aka the duo of A. Honda and S. Nagano. 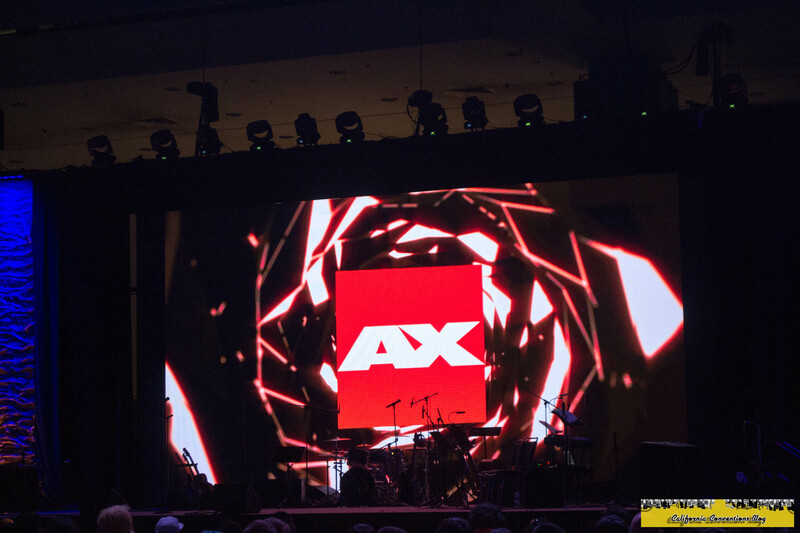 Before leaving the hall after the announcement I would take one last photo to commemorate the end of my coverage and memory of AX 2016 of the big red projected AX logo and call my stay in LA over. The last thing I did before heading home the following day was enjoy a nice BBQ with James and his friends and watched the movie The Shallows before skipping town. 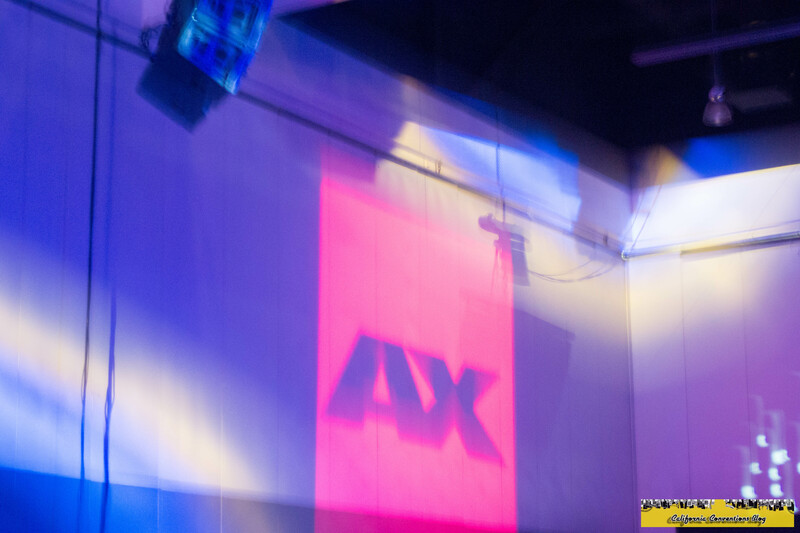 As a writer for this blog and covering AX for over the last 6 years, I personally thank you for taking your time to go through my and our colleague's experiences for this year's show. 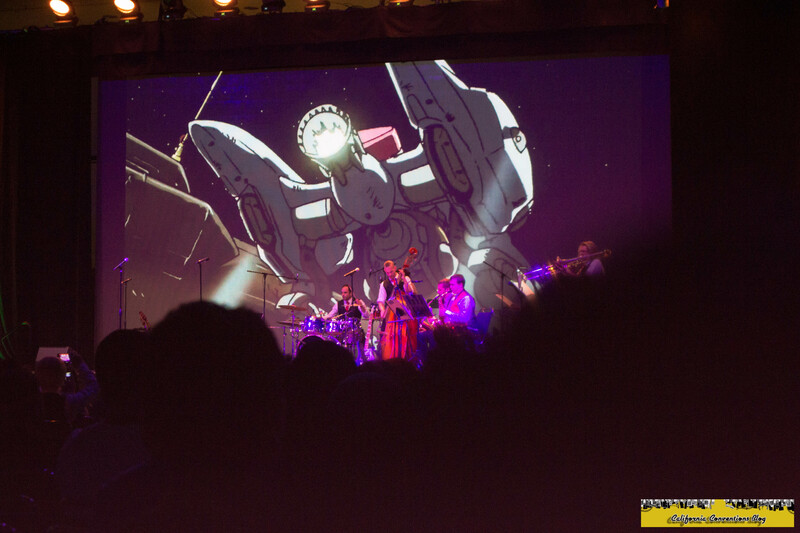 I'd also like to give great thanks to Anime Expo and the SPJA for inviting us to attend this year's and previous years shows along with AX's press department for being courteous, professional, and helpful during the convention and getting us in with guests we never thought otherwise we'd get a chance with! Lastly, I'd like to thank my team of Jeriko, Nate, and Tally for helping me not only survive this year's con but helping me with interviews and coverage and to many more years of successful coverage here at Anime Expo. CHEERS to another successful year and to seeing you all in 2017!